Description: An elongated linear wall sconce utilizes Integral energy efficient LED lamps for functional lighting applications in commercial spaces, healthcare facilities, hotels and other environments. The fixture is crafted with a White powdercoated finish and a Statuario Idalight bottom diffuser. Handcrafted in the USA, this sconce is offered in custom sizes, styles, colors and dimmable lamping options. 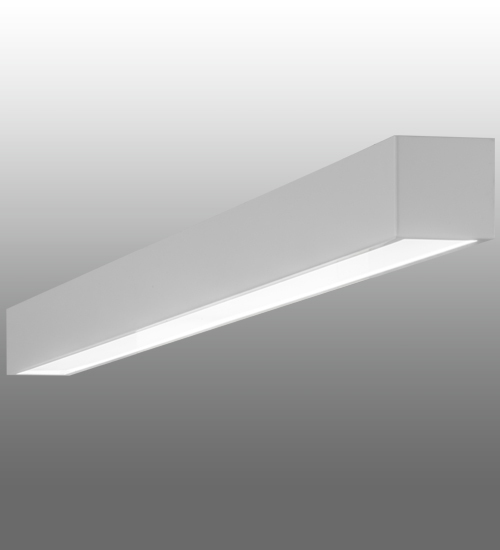 The 84-inch sconce is UL and cUL for damp and dry locations.